We attended this event as a part of the Civic Engagement Survival Guide: a series of free talks and workshops focused on creating a community that is informed, organized, and engaged. “I hear you saying that immigration law enforcement is not the primary, secondary, or tertiary function of the Culver City Police Department. 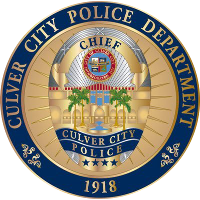 I hear you saying that sanctuary status, from what you understand […] would not prevent the CCPD from enforcing the law here in Culver City. For more local Culver City events on the Culver City Community Calendar. Watch past videos or view upcoming events on the Civic Engagement Survival Guide.